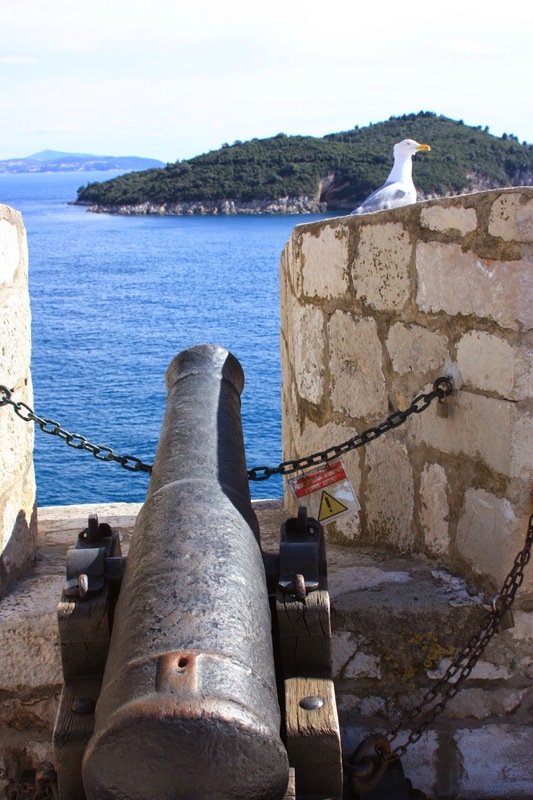 Dubrovnik and the lady of freedom. Very GOT. Shae and I are basically twins. My flight to Dubrovnik was a little bit of a fiasco. I thought I would be landing in the afternoon, leaving plenty of time for an evening wander. However, about an hour before we were expected to land, the pilot came on the intercom and informed us that due to wind, we’d be making an emergency landing and would be provided with bus transportation to Dubrovnik. I started to freak out along with everyone else on the plane and briefly considered getting annoyed that my day was being sucked up, but then realized that there just wasn’t any point to being upset. There was about an hour of the three hour ride from Split where the sun would still be shining (and setting), giving me a beautiful, free, coastal tour of the country. Anyways, I didn’t end up getting to my hotel until about 9:30pm and was exhausted, so I didn’t make it into the city that night. My tour was at 10:00 the next morning, and I considered blowing it off, thinking there was no way I could make it, but I’m so glad I did! Part of my hesitation was that I was alone. 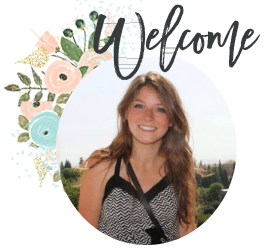 Other than Torino, which was its own sort of adventure, this was my first time traveling alone and I was pretty nervous about putting myself in a social situation by myself (I’m lame). I expected a tour full of groups of friends with me as the only lonely loner, but I ended up being the only one on the tour at all—a totally different sort of awkward for someone as shy as I can be! However, it was perfect. 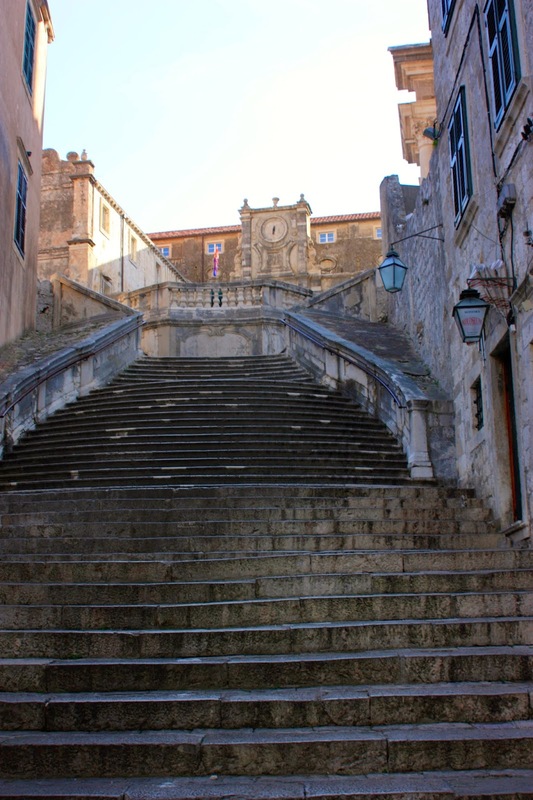 The low-season in Dubrovnik is fabulously quiet and empty, and I loved being on my own personal tour through the nearly vacant city. 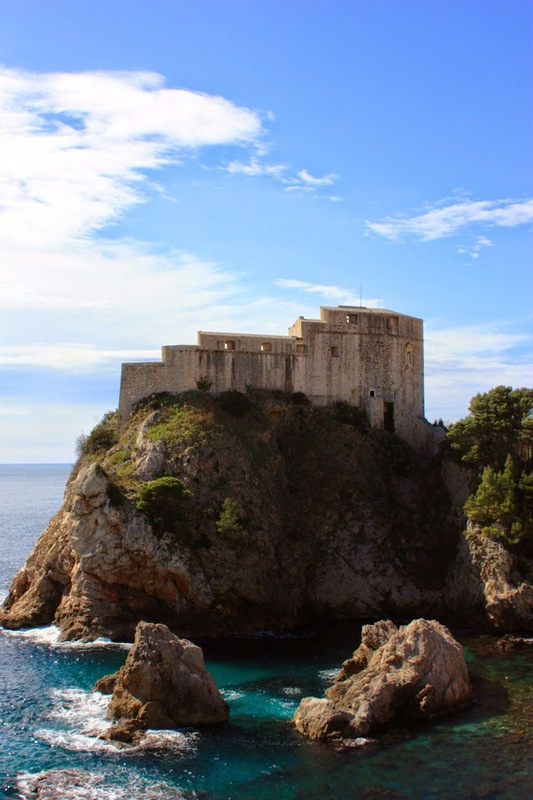 If you’re traveling to Dubrovnik and looking to learn some history, see the city through the eyes of a proud local, as well as visit Kings Landing, I would highly recommend this tour. Along the way, I realized that the history of the city has some incredible similarities to the fictional history George Martin created. 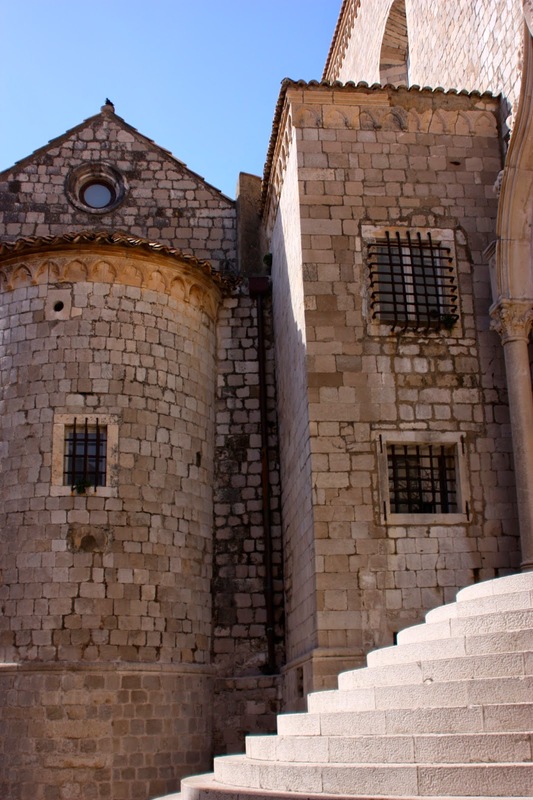 For example, one of Dubrovnik’s most striking features is the wall that surrounds the Old Town. For years, different regions attempted to stake their claim on the city, including the Venetians, the Ottoman Empire, and Napoleon. Hmm, different regions/families trying to claim the area as their own? Sounds familiar! filming location of the Red Keep, where my fabulous tour guide pointed out where Cersei and Littlefinger discussed how “Power is power,” and where Sansa saves Ser Dontos from being murdered on Joffrey’s nameday. The building is enhanced using CGI for the show, but it’s amazing how little was needed- it’s so beautiful on its own! When we arrived at the top and looked over the jaw-dropping view, I was told that we were looking down on none other than Blackwater Bay! 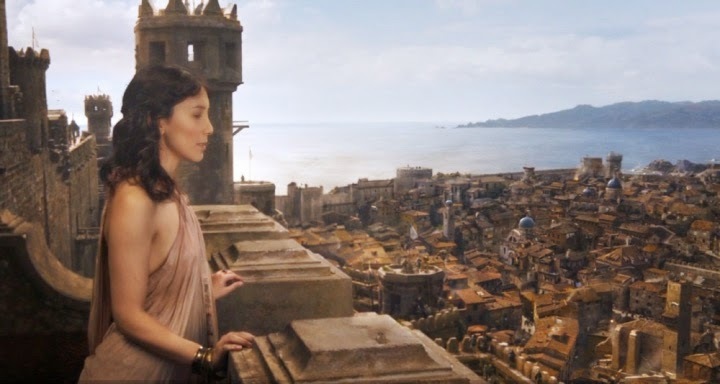 She also pointed out where the Purple Wedding and the battle between Prince Oberyn and The Mountain took place, though neither was not included in the tour. My guide (I feel awful that I keep saying my guide—I can’t remember her name for some reason!!) 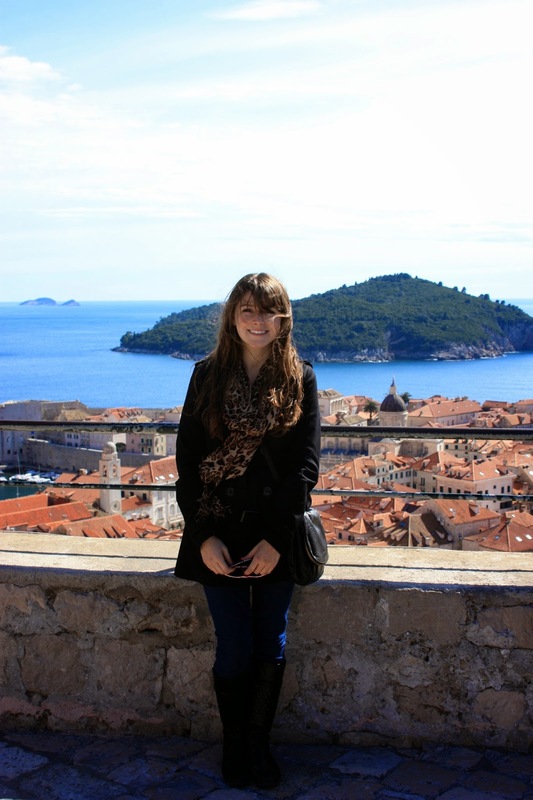 also pointed out Lokrum Island, where some of the Daenerys’s scenes were shot. I didn’t visit the island, but apparently it’s shrouded in a dark, superstitious history that sounds straight of the imagination of George Martin! 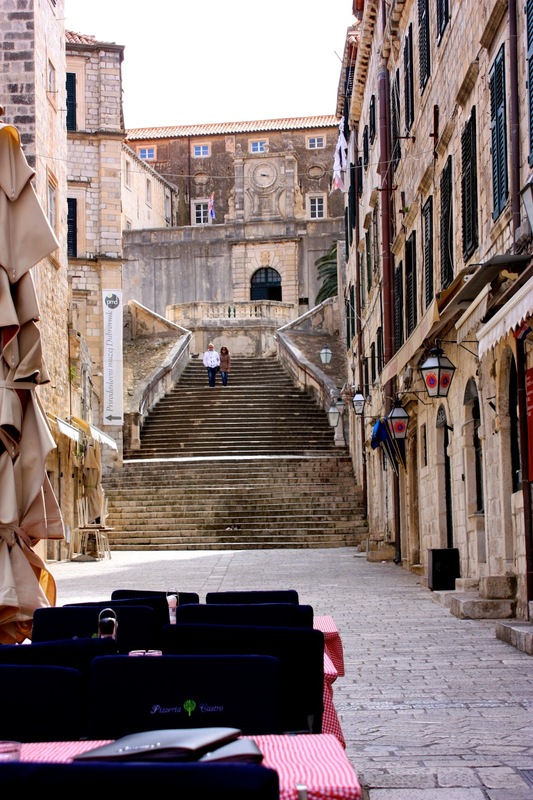 According to legend, a terrible fire destroyed much of Dubrovnik around 1023. The citizens were terrified and prayed to Saint Benedict to save their city, vowing to build a monastery in his name in return. The fire was extinguished, and the people constructed a monastery on Lokrum. Fast forward a few hundred years, and the French army has commanded that the monastery close and the Benedictines leave. The monks who live on the island are, understandably, pretty upset and hold one last mass at the Church of St. Mary. The monks spend the night slowly walking around the island, letting wax drip from the candles that they carry upside down. They walk the complete circumference three times, laying a curse on the island before leaving: Whoever claims Lokrum for his own personal pleasure shall be damned. Years of mysterious deaths, earthquakes, suicides, and murders later, who’s to say whether or not the curse is just a myth? But as much as I’d love to visit the island, there is no way I would ever want to spend the night! Spooooooky! 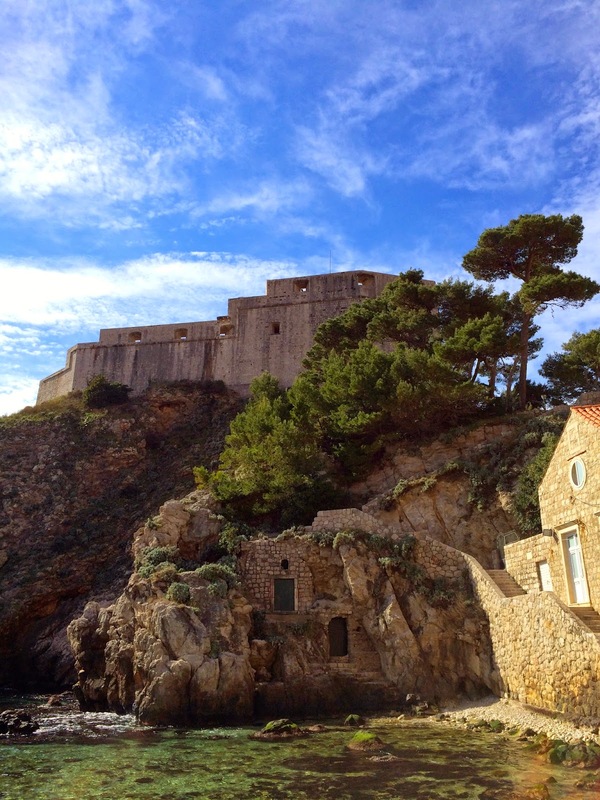 My guide filled me with all kinds of stories, both historical and GOT related, including how sweet Jack Gleeson, the actor who plays Joffrey, really is, and pointing out the hotel where Peter Dinklage (Tyrion) stays. Her theory was that George Martin must have a special interest in keeping him happy because his hotel was much nicer than many of the other actors! Hmmmmm, who will take the Throne?! 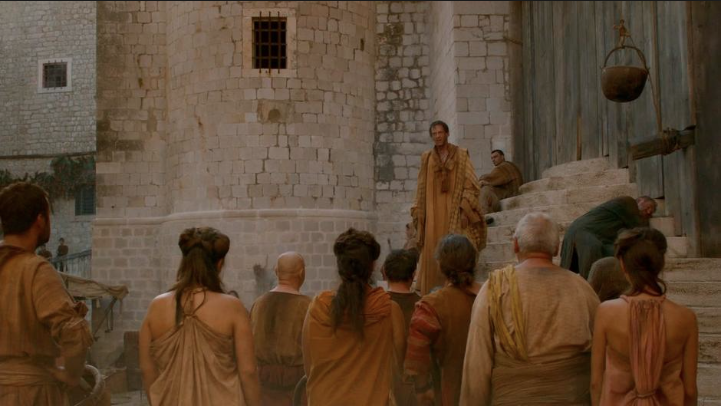 She also shared her theory of where Cersei’s Walk of Shame is meant to take place. 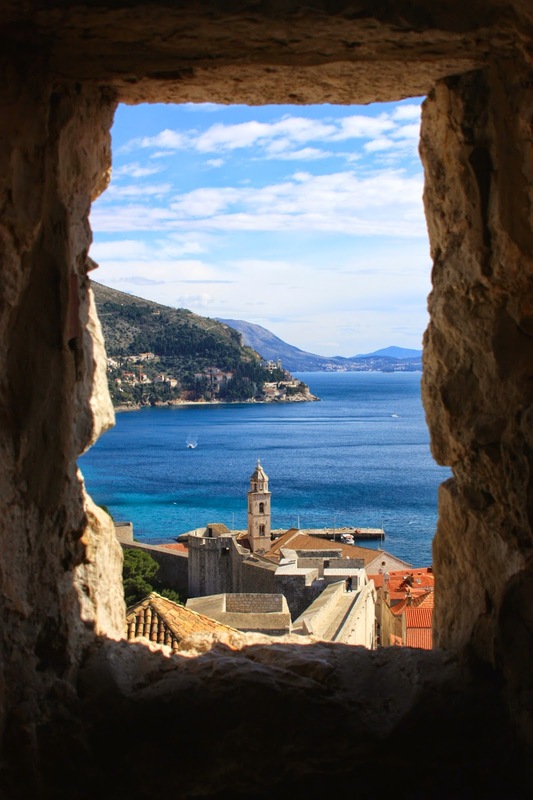 Apparently, it was supposed to be in front of a beautiful church, but Dubrovnik is a deeply religious city and there’s no way they were going to let her walk around naked out there! Look look look! It's the same place! 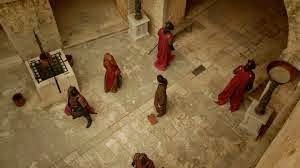 Anyways, we passed the site of the slaughter of the innocents, as well as walked in Sansa and Shae’s footsteps. It still blows my mind that I was on the set of one of my favorite shows!! From what I’ve read, the places I was seeing are usually packed full of people, but the summer tourism crowds hadn’t arrived yet, and it was just the two of us most places we went. 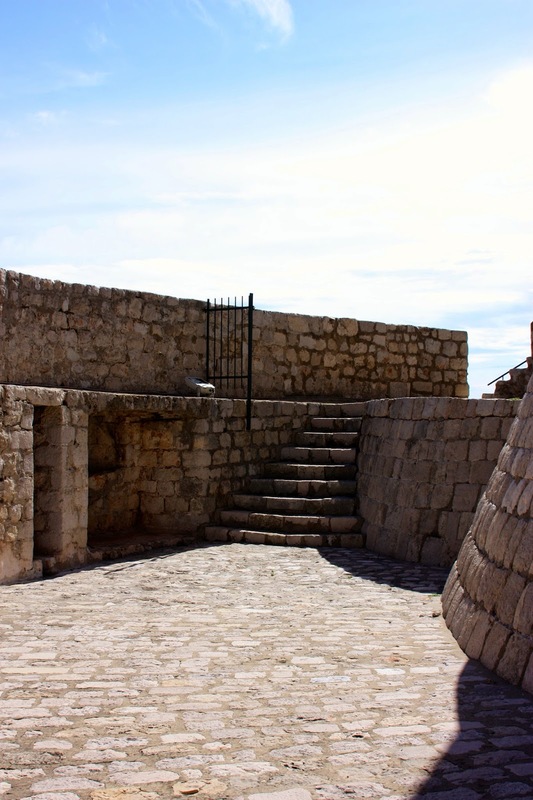 As we passed through Pile Gate, we saw the place where someone threw poop at Joffrey (ha! 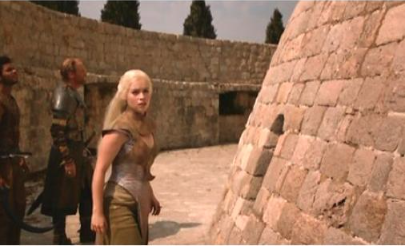 ), the House of the Undying (really it was Miceta Tower) where Daenerys desperately searched for her dragons (“WHERE ARE MY DRAGONS!? !”), and many more. To help jog my memory, my guide carried a binder full of screen shots and pulled them out as we walked through different filming locations. My tour ended as we reached about 1/3 of the way around the city walls, and I continued from there on my own. I still am a reader BTW, just that I check the site in a less regular basis as...I am in Milan myself! I started classes and all and that takes a bit of my time. Great adventure...I have already added it to my list, perfect for the new season that is now starting because I can brag to my friends saying that I know where they shot those takes! 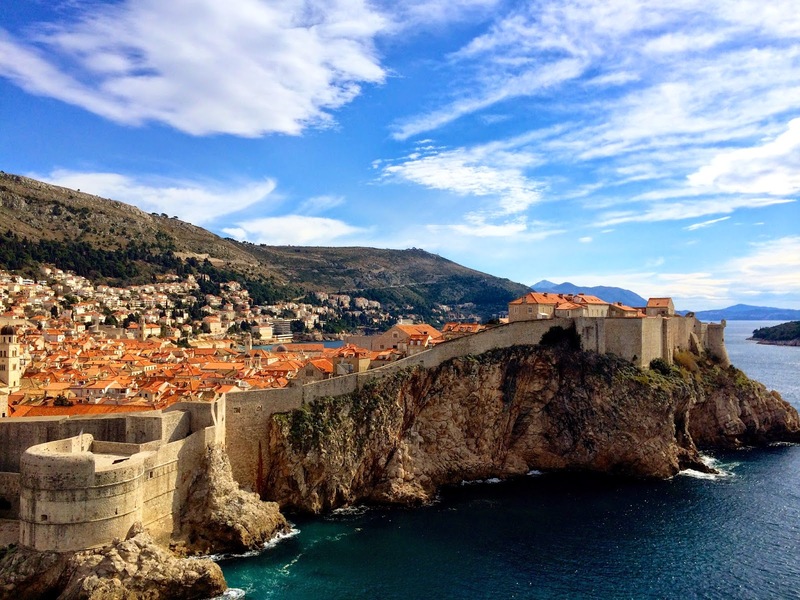 Definitely add Dubrovnik to your list- it's amazing! Really beautiful images thanks for sharing such images this is how i was searching this kind images from couple of hours finally my search comes to an end by visiting your blog this is how I had recently watch game of thrones season 6 episode 4 online where i found that shooting of this tv show is done on this place really interesting...! Thank you!! It really is a beautiful city! !